It’s been a cold and snowy last week or so in Chicago. The weather is only about to get worse, unfortunately. We are looking at more snow and super cold temperatures by the middle of the week. I keep reading articles talking about coldest temperatures in 25 years. I hope it doesn’t get that cold. However, what is better on a cold winter’s day but a nice bowl of a hearty soup. Today I made cauliflower chowder. It’s hearty but light at the same time. I made this soup as a healthier alternative to traditional cream soups. It’s very easy to even turn this into a Keto recipe. Check it out. See cook’s notes below to make Keto. Heat a large soup pot on medium high heat. Add in the olive oil and let heat a minute before adding in the garlic and onion. Once garlic and onion are added cook about 3-4 minutes until the onion is translucent. Next add in the red pepper and cook another 3 minutes until soft. Add in the butter and let melt completely. Slowly add the flour and mix well. Cook the roux for about 4-6 minutes. Add in the chicken stock, potatoes and frozen cauliflower and mix. Add in thyme, rosemary and bay leaf. Simmer on medium high heat about 45 minutes, stirring halfway through. Check potatoes and make sure they are soft. Remove the bay leaf. Remove from the heat and use an immersion blender to break up the cauliflower, but leaving some chunks. Once blended put back on the stove and add in the 2 cups of fat free half and half and mix well. Season the soup with salt, pepper, garlic and onion powder, crushed red pepper and chili powder. Mix well. Let simmer 15 minutes once the cream is added. Remove the soup from the heat and add in 8 oz of cheese and mix to thoroughly melt the cheese. Make sure to put the spoon to the bottom of the pot to make sure the cheese isn’t all fallen to the bottom. To serve, ladle soup into a bowl and top with a sprinkle of shredded cheese, bacon and green onions. Chef Notes: For Keto recipe, replace 3 T of flour with ¼ t of xanthan gum. Do not add in with the butter. Make a slurry with the xanthan gum some liquid and add into the pot. Replace fat free half and half for full fat heavy whipping cream. Omit potatoes entirely. Spice up your boring eggs with this frittata recipe. This is a great recipe to have for breakfast, brunch or even dinner. 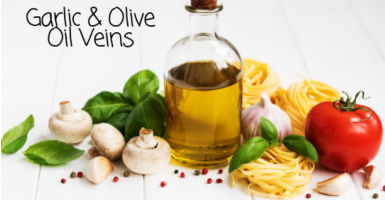 It’s so versatile and you can add any proteins, veggies or cheeses. I used bacon, (because I love it so much), mushroom, onions and goat cheese. It came out delicious. This is definitely an elevated dish for any meal. It’s sure to please even picky eaters and can be put together so quickly. Directions: Preheat oven 375°. Heat a medium, oven safe saute pan or cast iron skillet over high heat. Add in olive oil let heat a minute. Add in onion and let cook 2 minutes and then add in the mushrooms. Lower heat to medium and let cook 4-6 minutes, mixing a few times. Season with salt and pepper. Add milk to the whisked eggs and season with salt, pepper, thyme and crushed red pepper. Mix well. Add in bacon, reserve a few pieces for the top. Add the egg mixture to the pan and make sure it fully covers the mushroom mixture and the bottom of the pan. Let cook 3-5 minutes until edges are set. Crumble goat cheese evenly over the top of egg mixture and top remaining bacon. Remove from heat and put in the oven for 13-15 minutes until cooked and serve immediately. I’m about 2 weeks into doing Weight Watchers and I’m finally realizing that dinner doesn’t have to be a production every single night. I have a habit of over thinking a meal and then getting frustrated or discouraged. I always feel like every meal should have a a protein, a vegetable and a starch. That must be my culinary professors in my head telling me that. So, I’m learning it’s ok to have eggs for dinner or a quick thrown together salad or something simple. With doing Weight Watchers I feel it’s easier as I can really eat anything I want. I put this salad together this for dinner that was full of protein and very delicious. It really was super simple. Directions: In a small bowl mix together bbq sauce and ranch dressing. Add lettuce to a large bowl. Add in corn, black beans, onions, cheese and dressing and mix well. Separate into individual bowls and top with even amount of shrimp, bacon and avocado. Enjoy! Notes: Feel free to mix all these ingredients together and serve it up. I always like to make sure the main proteins or higher fat/calories items are equally distributed to both bowls especially when county calories or points. In this case, that would be the shrimp, bacon and avocado. Use any bbq sauce you’d like, mine had a slight kick and it gave a nice flavor profile. If you don’t have cooked shrimp, feel free to use raw and just cook them up. That’s exactly what I did. Happy Sunday! What do you planned for your Sunday? This morning I felt like making a breakfast sandwich. I only have my healthier bread on hand which isn’t ideal for breakfast sandwiches but it served it’s purpose. I personally don’t like my bread toasted but if you do feel free to toast your bread. It’s almost easier to eat toasted as the sandwich won’t fall apart. There’s what I did. Directions: To assemble the sandwich: butter the bread/toast add slice of cheese and top with egg and bacon. Eat and enjoy. Note: You can use any bread you’d like. I’m doing Weight Watchers so I used bread that is healthier. You can make this any which way you’d like. I just wanted to share with you how I made mine.